We are in day 2 of previews for the May release from My Time Made Easy. If you didn't see what the design team previewed yesterday, stop by Lauren's blog for a peek and links to the team's blogs. 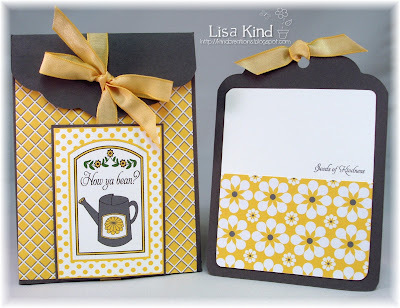 Today we are previewing a template called Treasured. It looks like a little treasure chest, but can be made into anything! Did you ever want to make something just for yourself? I make these templates and give them to so many people that sometimes I just want to keep something for me! So I did today. I have all kinds of things on my nightstand that I'd like to keep nice and tidy in this box. It's very roomy and holds them nicely. 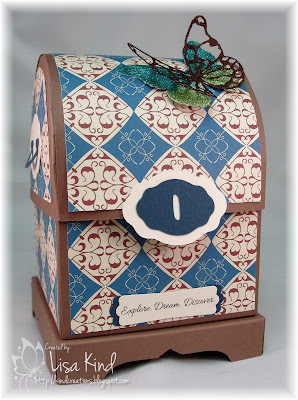 I used the new digital paper pack called Vintage Flourishes Bold to decorate my box. I first cut it from Close to Cocoa cardstock. The accents were cut from vanilla and Not Quite Navy cardstock. 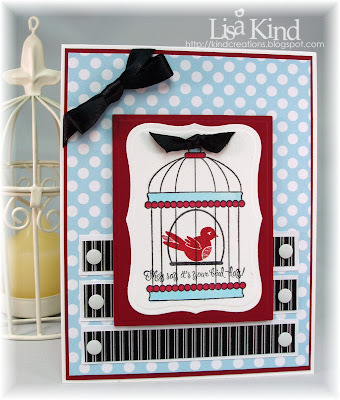 The sentiment on the bottom is from the new digital stamp set called Seas the Day Sentiments. Here are all the products that fit inside. I'm going to love having this box contain all these products! And here's a picture of the butterfly. I learned about this glitter called Glitter Ritz from the A Cut Above Online Classes. Very cool stuff. When you burnish it really well, it feels velvety and won't come off! Love it! I bought it at my LSS, Buffalo Stamps and Stuff. Do you want to see more of this cool template from the team? Stop by these blogs! Happy Saturday! I'm at a stamping event today with about 85 other stampers from around the Western New York area. We have people from Canada, Pennsylvania, and possibly other surrounding states! This is our 5th event and they are always fun! 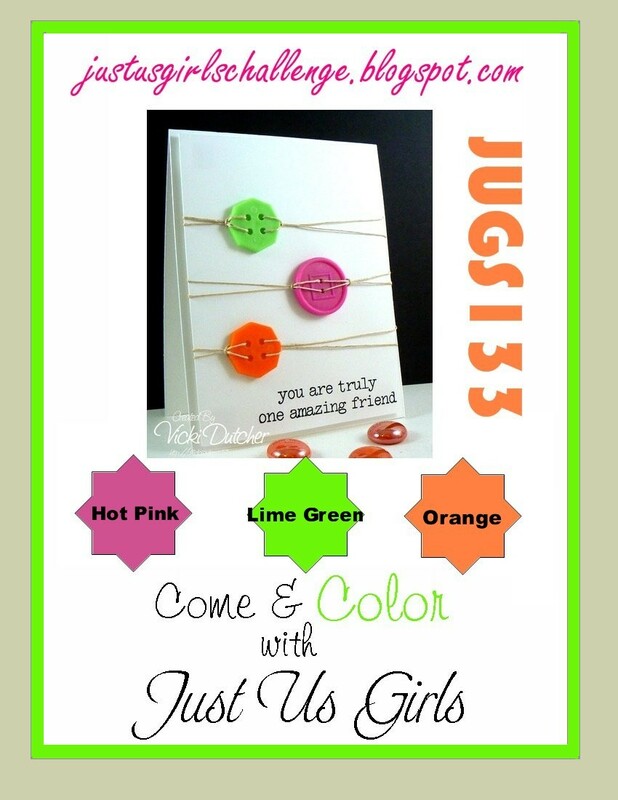 Today is our 3-D/Template Challenge over at Just Us Girls, and it's kind of a sad day. The last of the two originators of JUGs, Pam, is our hostesss but this will also be her last challenge with us. :-( She is leaving because she has so much going on in her life, and crafting is taking a back seat. But it's all fun stuff, so we are happy for her. You can read more about it on her blog. So I'd just like to bid her a fond farewell and say so long to a great lady that I'm proud to call my friend. Best wishes to you, my friend! On with the challenge! 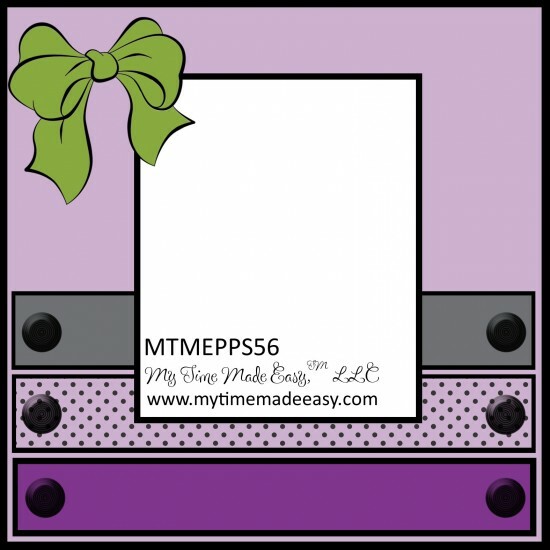 Pam challenged us to create a gift template for a mom or special woman. Well, since I'll be spending today with some wonderful women, I made some things for them. 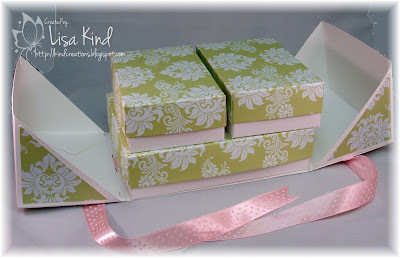 I found these cute little 3x3 tissue boxes at Target the other day and decided to give these as part of the 3-D swap I'm in with seven other girls. The other part of the gift I cannot show you because it's a new release from My Time Made Easy and I can't show that to you for a few days! One of the girls in the swap is Diane Zechman and she created a tutorial at Splitcoast Stampers for these tissue box covers for a normal size box. Since these were smaller, I had to adjust the measurements, but the concept is the same. I just think they are adorable! Stop by these blogs to see what the JUGS Design Team has for you. Today begins a new Pretty Palette color challenge. These colors were taken from the Spring Abound digital paper pack. I wanted to make something other than a card, so I made this seed packet using the Simple Seedling cut file from MTME. I cut it from basic gray cardstock and then covered the front (and back) with one of the patterns from the Spring Abound digital paper pack. 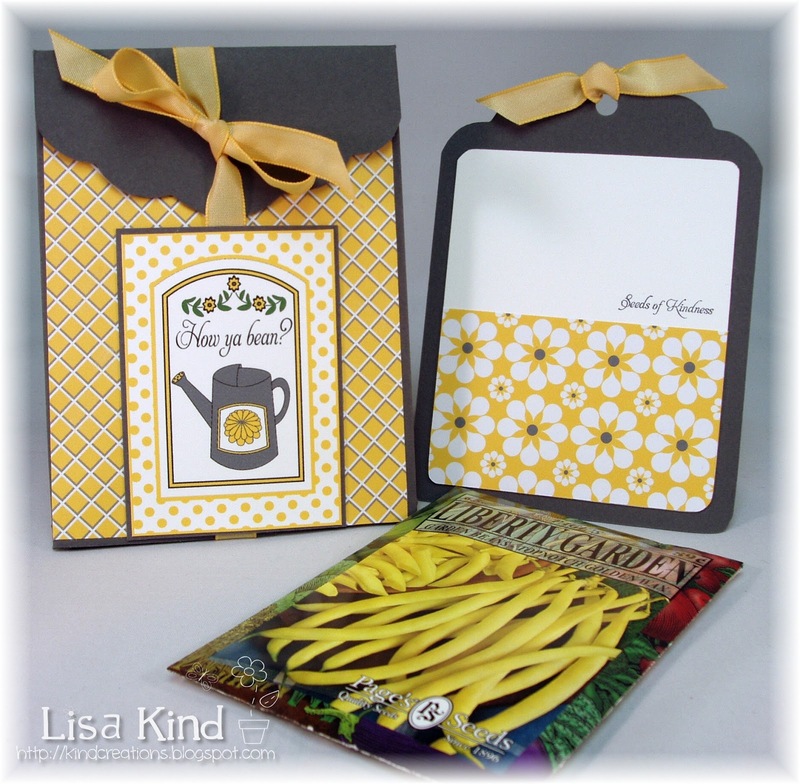 The label is from Tending the Garden digital stamp set. This set is also available in acrylic form, but I wanted to be able to manipulate the sizes of the images and colors, so I used the digital form. 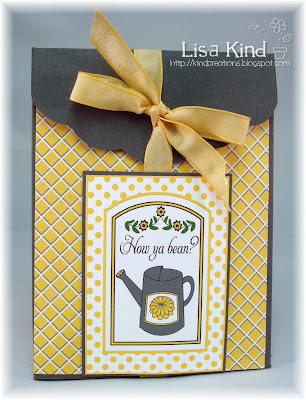 I adhered it on the front and held the packet closed with yellow grosgrain ribbon. I also created the tag that comes with the cut file. I cut the base from the same basic gray cardstock and the layer from white cardstock and another pattern from the Spring Abound digital paper pack. I just cit the pattern paper in half and layered it on. The sentiment is from the Tending the Garden stamp set, however this time I used the acrylic form to stamp it in basic gray ink. I punched a hole in the top of the tag and added more of the same ribbon. And here they are all together. I raided my hubby's seed packet stash to find these yellow bean seeds to include in the packet. You can see where I got the "How ya bean?" sentiment for my label! What a cute little gift to give to your favorite gardener or to have as a shower favor. To see more information﻿ from the Pretty Palette design team, take a peek at these blogs. Hi friends! I am so late posting this Just Us Girls card! I was busy this week and not feeling up to par. Maybe allergies or sinus...not sure, but I want it to go away! Anyway, our very talented and busy stamper, Vicki, is our hostess with the mostess and she has given us some fabulously bright colors to work with this week. Fun, huh? 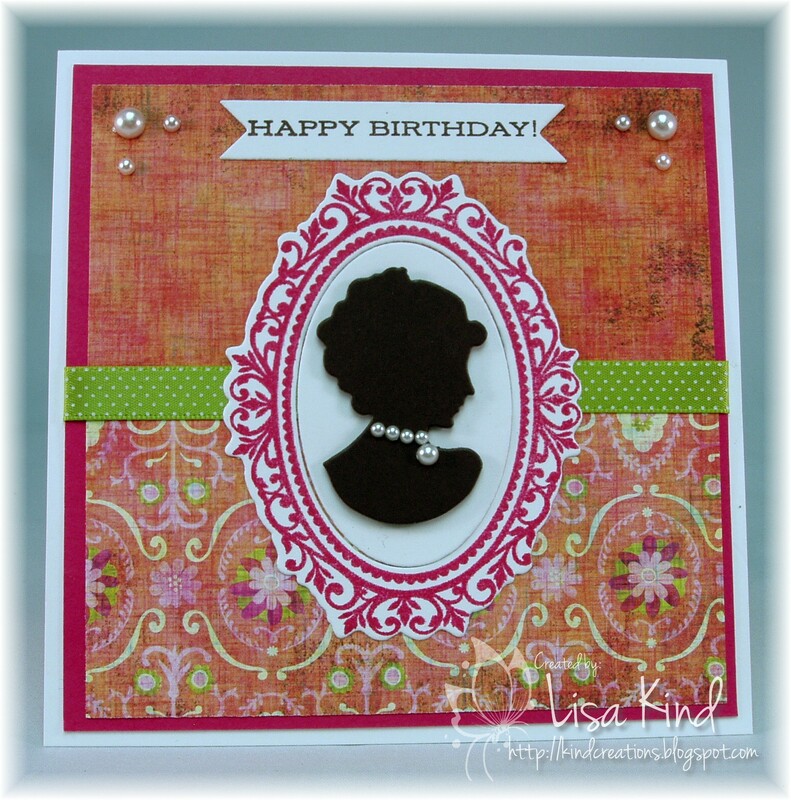 I needed a birthday card for my mother-in-law, so I went with this stamp and die set from PTI called Simply Jane. I love silhouettes! So pretty! My silhouette was cut from chocolate chip cardstock, and the frame from white then stamped with melon mambo ink. The paper is Sweet Threads from Basic Grey. I tied in the green with the dotted ribbon. 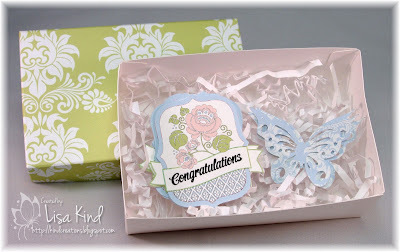 The sentiment is from the Sweet Violets stamp set from Flourishes. The flag die is from Wplus9. 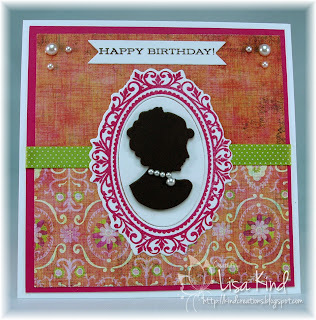 I added some pearls in the corners of the cards and around the neck of the silhouette. The girls have some great inspiration for this color challenge. You can see them on these blogs. Hi all! Today we have a new color palette from Pretty Palette. I love this one...they really are pretty together on a card! I started with the paper. The bg is from Darling Dots digital paper pack and the black is from Serenity digital paper pack. 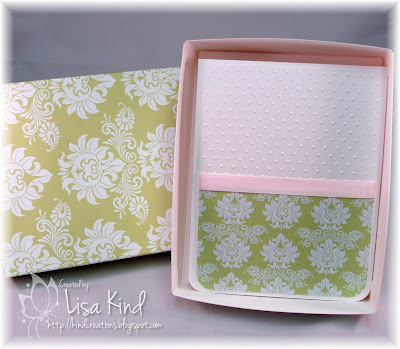 I used the current Pretty Patterns sketch (you can see that below) for my layout. 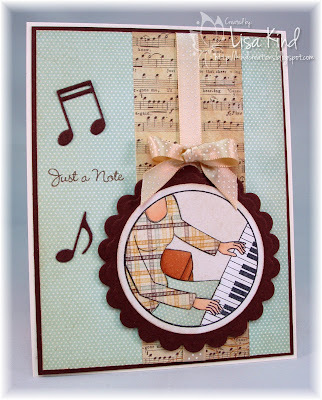 Next, I used the Singing Silhouette acrylic stamp set for the image. The cage was stamped in black and colored with red and blue copic markers. The bird was stamped in riding hood red ink. 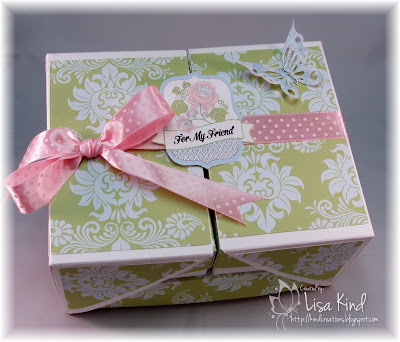 I added the sentiment from the same set, some black satin ribbon, and white metal dots. Here's the fabby sketch from this week's Pretty Patterns challenge. Now ch﻿eck out the design team at these blogs to see what they did with these colors. Hello friends! I'm this week's hostess over at Just Us Girls, and it's technique week. I chose a great, easy technique from Gina K's Stamp TV called Sponging a Layer. You can find it here. I followed the tutorial and made my card very similarly to the card Gina K made in the video, however I used two sets from Paper Makeup Stamps. I started by tearing a piece of paper and taping it down so I could sponge my layer. I sponged three distress inks: Wild Honey, Spiced Marmalade, and Tea Dye. Then I stamped the flowers and leaves from Color It: Summer stamp set in Memento Tuxedo Black ink. I colored them in with copic markers. The sentiment is from the Faith Hope Love stamp set. I added the ribbon which is from SU and the glittered flowers. I also added some Star Dust Stickles to the stamped flowers. The base of the card is More Mustard. 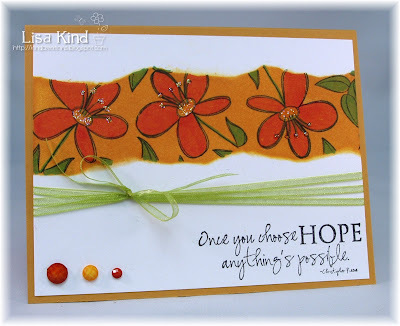 You ca﻿n check out more beautiful cards made with this technique at these fabby blogs. 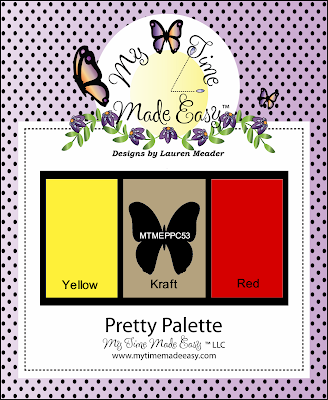 Pretty Palette #55 and Happy Easter! 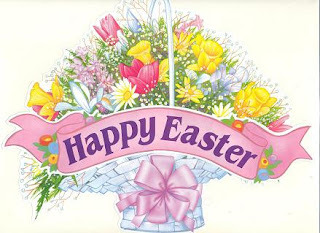 Happy Easter to all my friends! I hope you have an enjoyable day with your family and friends! The Pretty Palette challenge this week has some bright and fun colors! I hope you can play along! I decided to take a different route this week and made a recipe card instead of a card. 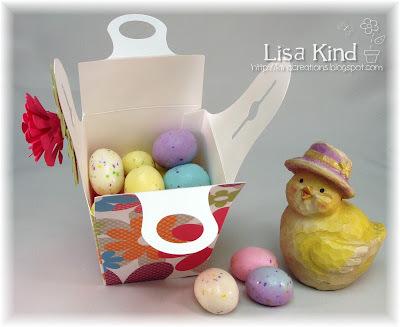 My friend Tracy Harp does these recipe cards all the time, and I thought I would try one because I seemed to be looking for my mother's Easter recipes all over the place yesterday! She was giving me recipes written on all types of papers that weren't organized! 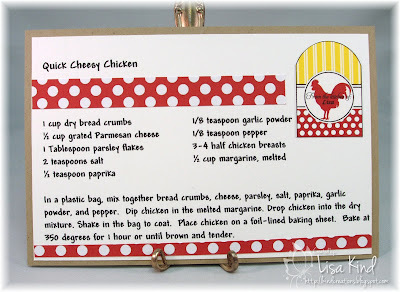 That drove me crazy, so I started out easy with this chicken recipe I make quite often because of how easy it is to make! 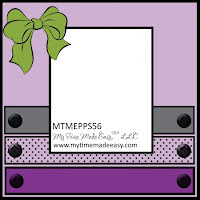 I started by creating the image using the Well Rounded and Well Preserved digital stamp sets from MTME. I colored them in GIMP using the challenge colors. 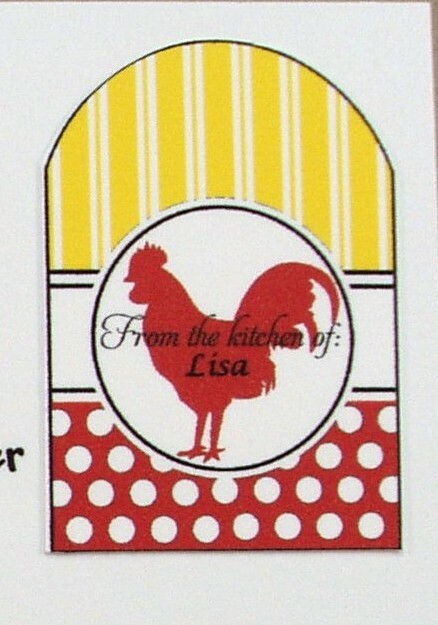 Then I added the "From the Kitchen of: Lisa" on the image. (You can see a better picture of it below.) I typed up the recipe in Word, cut it out, added the image and paper from Darling Dots digital paper pack and was done! It's backed on Kraft cardstock. Maybe these colors speak to you and you'd like to join our challenge. You can do that on the MTME blog and you can also see more inspiration from the team at the blogs below. After writing this post, I set my table for my Easter brunch today and wanted to show you. I made some favors to adorn my table. You can see the post here of what they look like close up. But you can see them on my table here. Nothing special, but I love setting tables! Thanks for stopping by and have a great Easter Sunday! Happy Saturday and Easter Eve! Are you busy cooking and baking? I am! I'm hosting brunch at my home tomorrow, so there's lots of cooking, baking, and cleaning going on here! 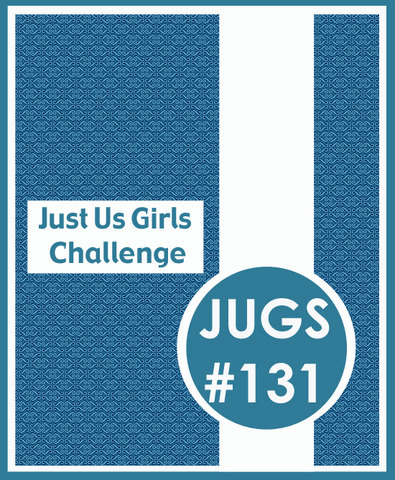 But I did manage to get my Just Us Girls challenge card done for today! This week is a sketch challenge created by our very talented CAS girl Andrea! I'm so glad it was an easy one this week! I was looking through my stamp collection for something that would fit into that circle and also for something that I haven't used yet and found this set from My Favorite Things called Who's That Musical Girl. I love paper piecing these girls! I used a My Mind's Eye Lost and Found paper pack called Sunshine. The musical note paper was perfect for my theme. 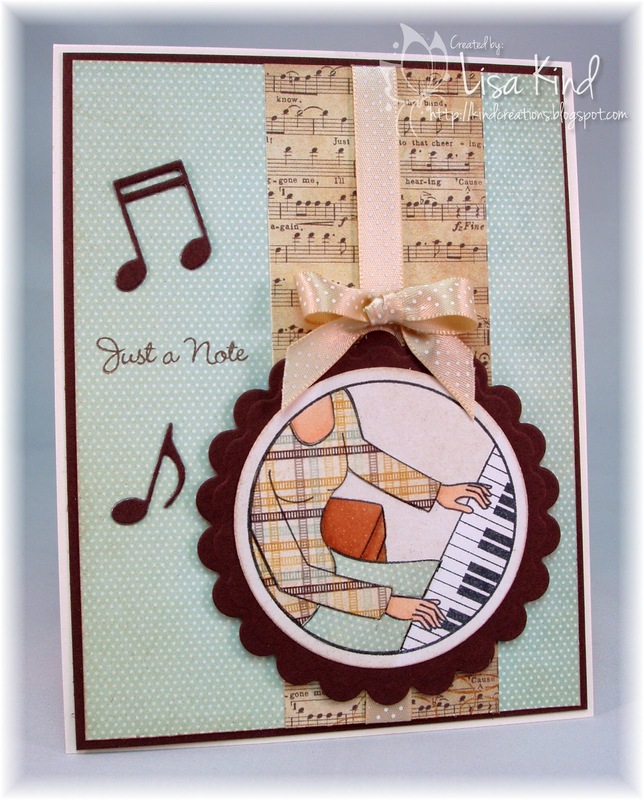 I pieced the paper, colored the rest of her with copics, and added the ribbon, die cut musical notes (also from MFT), and the sentiment. I also distressed the edges with some tea dye distress ink. The JUGs design team has some great inspiration for you. Stop by the following blogs to see for yourself! Thanks for stopping by! Have a great Easter weekend! Hi all! I've been making calendars with some of my other crafty friends for a while, and I missed last month for some reason. But I wanted to make sure to get one done this month! 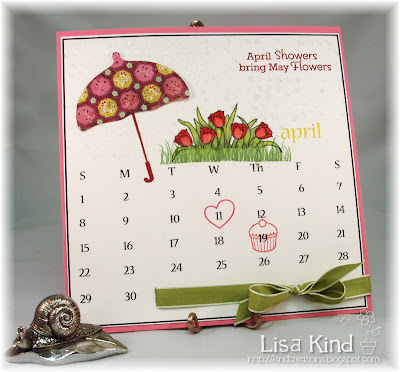 My calendar is from Taylored Expressions and I've used various stamps to embellish it. The pattern paper for the umbrella is Lemonade from Basic Grey. I used the Scattered Showers die from PTI to cut the umbrella out. 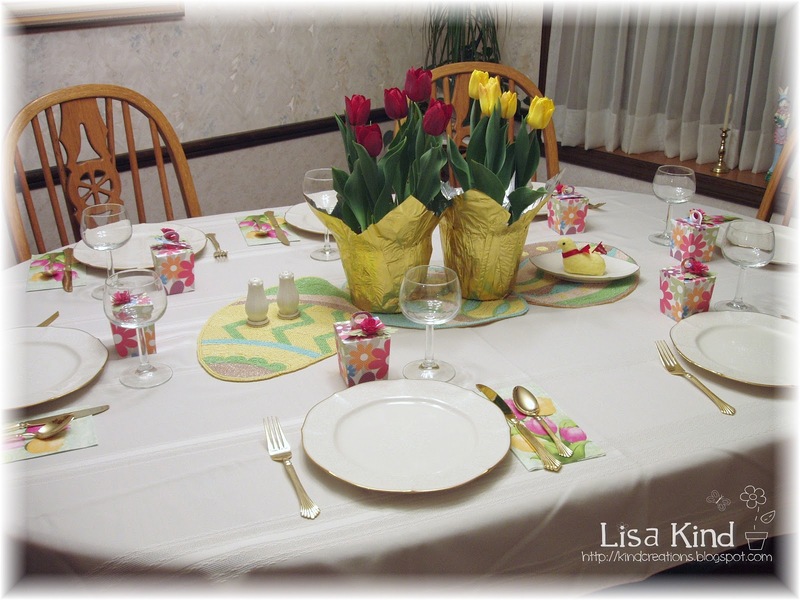 The sentiment is from the Scattered Showers Additions set and the tulips are from the Vintage Picnic set. I don't know if you can see it, but I clear embossed some raindrops on the top. April is a very busy month for me. My 20th anniversary is on the 11th, so I surrounded it with a heart. My birthday is on the 19th, so I highlighted that with a cupcake. The bottom looked a little bare, so I added some SU ribbon. This calendar looks a little busy to me! 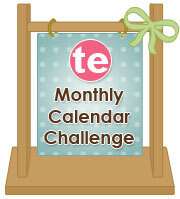 Taylored Expressions has a calendar challenge each month and I'm entering this one in the challenge. The girls participating in our calendar challenge are listed below. Stop by their blogs to see their calendars. Today the My Time Made Easy design team is doing our monthly Year in Review post. This is where we create projects using some of our favorite older products mixed with some of the new products. I chose to use the So Fortunate template for my project today. 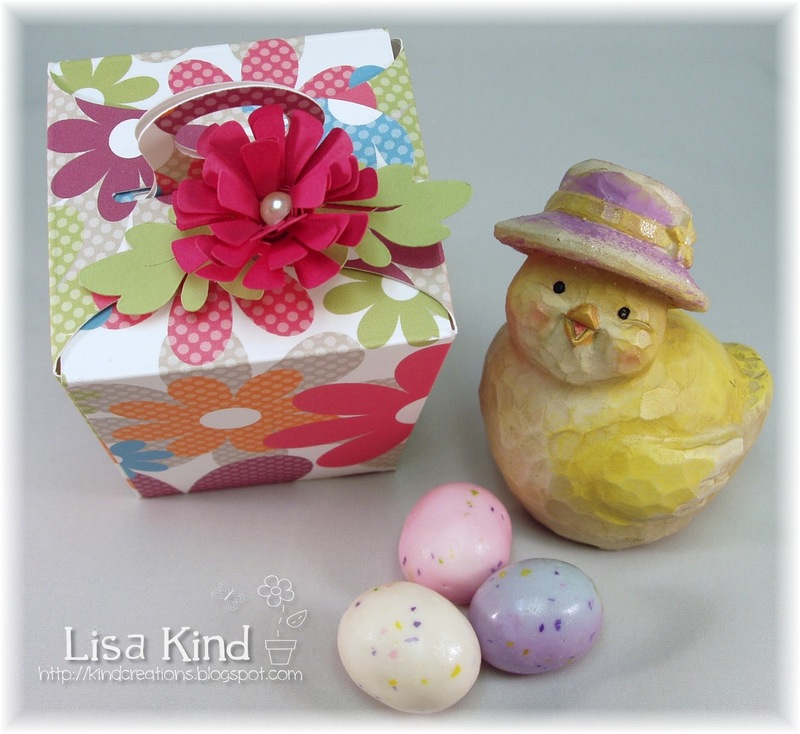 This is a nice big template, however I reduced it to 75% of its original size because I wanted to make some Easter Favor boxes for my family. I'm hosting a brunch at my home on Easter Sunday, and I thought these would be so cute on the table. 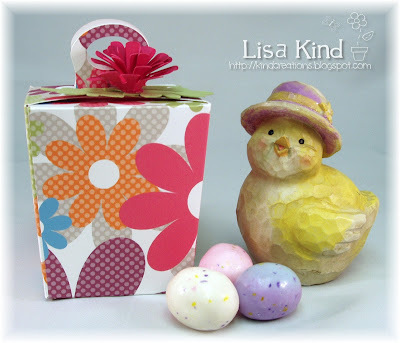 I cut the template from cardstock printed with the Spreading Spring Cheer digital paper. This design from the pack is so colorful that it really didn't need anything else to adorn it, except this pretty flower. And this is what is inside the template...some malted eggs! I think my guests will like them, don't you? And you can see how I attached the flower and leaves to the template lid so that it opens easily! 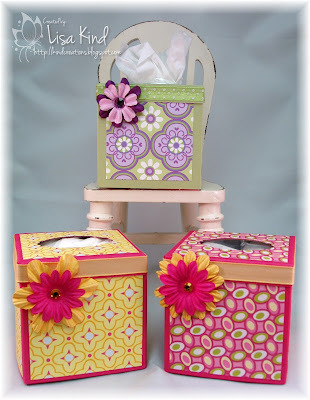 The MTME design team is all posting today, so you can stop by their blogs listed below to see all sorts of inspiration! Have you seen the new release from My Time Made Easy? You can see all the new products here. You can also see all the creations from the Design Team in the MTME Gallery. There are endless ideas there for you to see. Today we are bringing you more inspiration. I'm using the new Card Cover-Up template once again. There are so many uses for this very simple template. It's so easy to pull together! 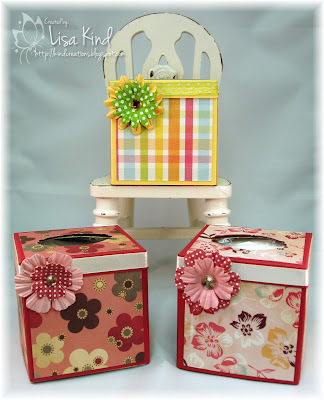 My starting point was this new paper from the Spring Abound digital paper pack. I love how elegant the gray and yellow look together. Here is the card I designed. The gray base was created using the new Corner Slot Foliage cut file. I have to say I was very intrigued by this cut file. I couldn't picture it in my head, so I had to use it! What a great idea this cut file is! I love that corner piece! The label is from Occasional Label cut file, and the sentiment and flower image are from the Sentimental Occasions stamp set. That corner looked a little bare, so I added some ribbon and a bow. I couldn't leave the inside of the template bare. I love how the paper lines the inside of the template. 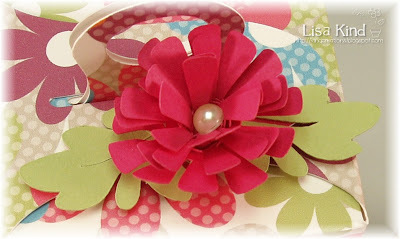 The flower was made with the new Bloom Builders cut file. I thought this would be a nice gift to give to someone who just celebrated an occasion and was in need of some thank you notes. You can never have too many of those! Some of the design team are posting today. All the blogs are listed below. My Time Made Easy Release Day - The Complete Package! Hi everyone! This is going to be a long post with lots of pictures, so sit back and enjoy! 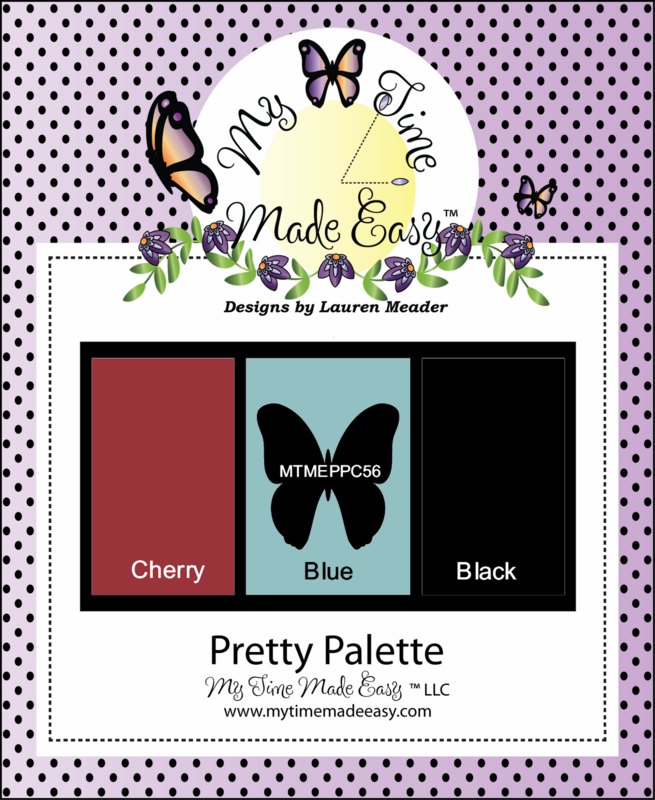 Today is Release Day at My Time Made Easy and a new Pretty Palette challenge! These are the colors for this week's challenge and also my starting point for my Release project today. We have two new templates being released today, and you'll see both being used by the MTME design team. I'm using the Com-Pleatly template...and it's such a cool one! I say that all the time, but this is really over-the-top cool! Here it is all put together ready to present to someone. And ﻿here it is opened to reveal two small boxes and one large one! How clever is this? Another shot of the boxes all stacked up. They could be used all alone and still be fabulous! So here's what is inside the boxes. Last week over at Just Us Girls, the challenge was to create a note card set with choose your own sentiment tags and embellishments. I used that idea for this gift set. 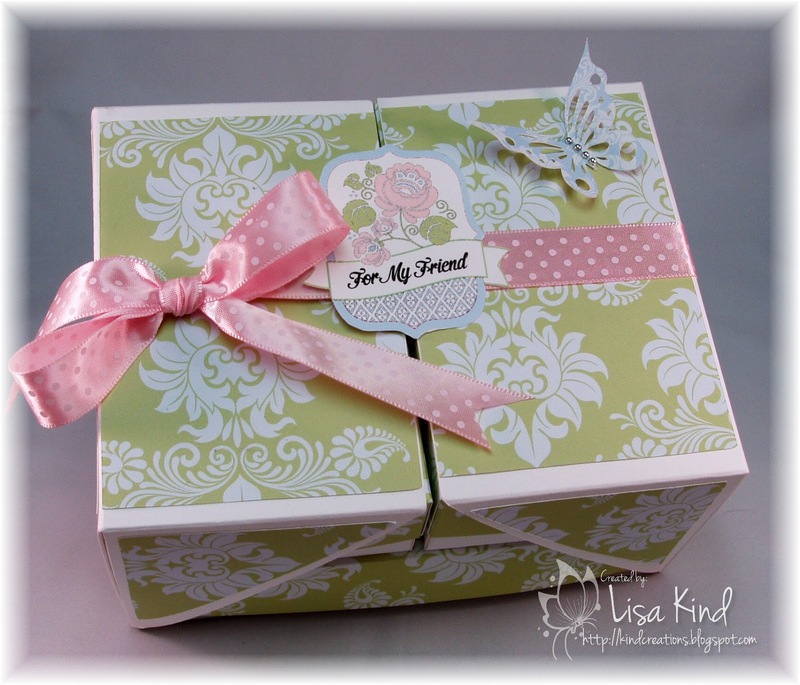 The tags inside the box were created using the new Fine Finish digital stamp set. I added the different sentiments to each tag. The tags were also colored using the Pretty Palette challenge colors in GIMP. 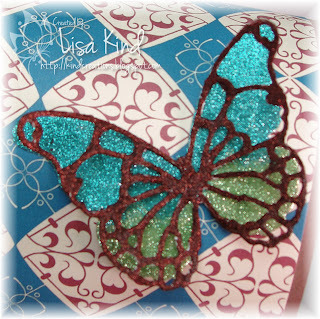 The butterflies were cut using the Bloom Builders cut file. I re-colored the Dainty Damask digital paper in GIMP to match the challenge colors. The butterflies were cut with this paper. In the other small box, I put a package of silver pearls (I didn't get a picture of that one!). 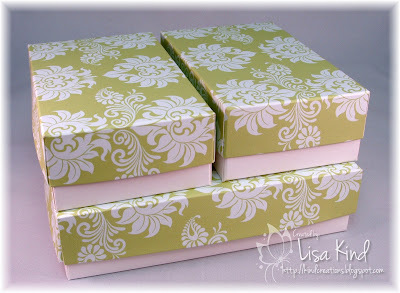 Inside the large box, I put the four unfinished cards and envelopes. 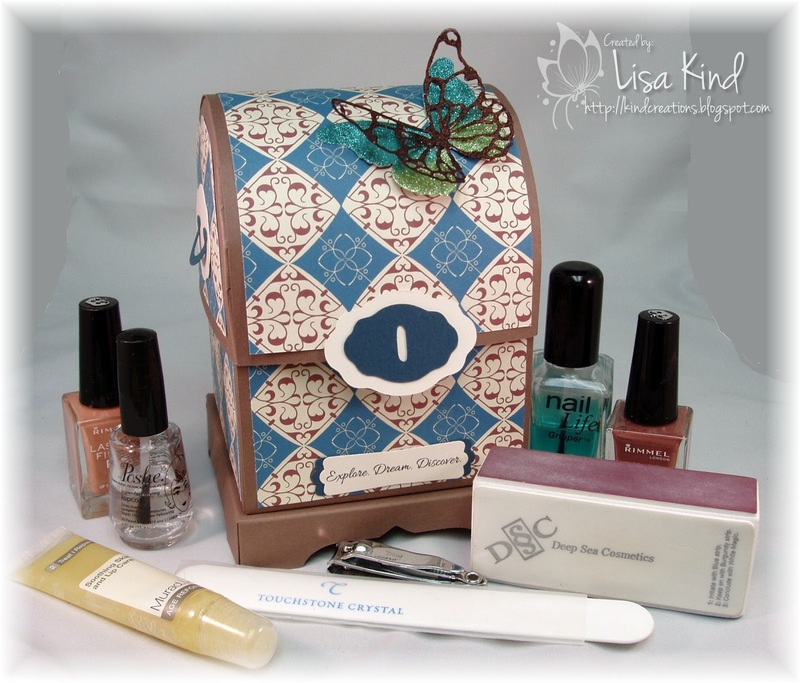 All the recipient has to do is add the tag of their choosing and the butterfly. The silver pearls decorate the butterfly's body. Here's the finished card. I just love this card! And here's a final look a the finished gift set. I have to say that this was so fun to create! I hope you enjoyed looking at it as much as I had creating it! 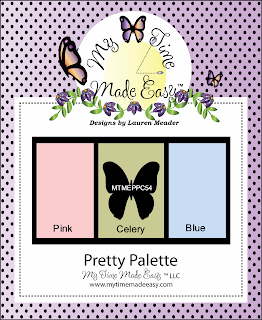 The﻿ MTME Design Team and the Pretty Palette Design Team has much more to share with you. You can see for yourself by stopping by these blogs. Thanks for sticking with me through this long post! I hope you enjoyed my creation! I'll be back tomorrow with another MTME new release post, so I hope to see you then!